We leased 2 vehicals, venza and a Tacoma. Service department is a waste of time. Day one the oil filter on the venza wasnt installed properly and drained on our clean concrete floors permanently staining it. Ive been to service 5 times with my 2016 Tacoma in less than 4 months for squeeking leaf springs. The techs replaced them "finally" but damaged the new springs upon installation. I was told I could go back again for 6x to fix the damage. Techs need training and the service manager does nothing to check quality of the work done. They have lost our business and We have been taking our vehicals to Vernon Toyota where they make sure work is done right the first time. Service makes or breaks a dealership! They can sell all the cars in the world but they cant fix them. Very disappointed with service manager and techs. Recently our toyota matrix had to be repaired due to some engine problems. It turned out Toyota Canada covers that issue under the extended warranty. However the Service Department of Penticton Toyota was actively involved in this issue helping us to resolve everything to our full satisfaction. Service staff was extremely helpful, and professional to make sure our needs had been met. It was a very pleasant experience for us in spite of some troubles we had with the car. It sounds rather strange; we were in troubles, but we are saying it was a very nice experience because indeed it was. 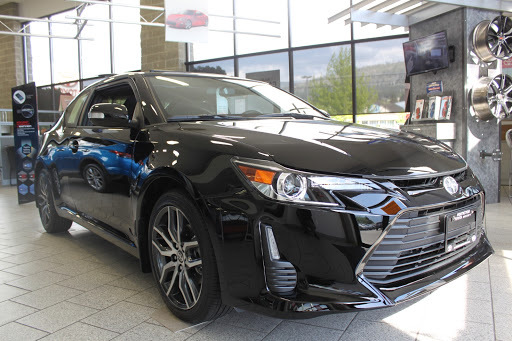 We met very professional, pleasant and helpful staff who made us true believers Penticton Toyota is the dealership to do business with now, and in the future.Thank you very much. My wife and I can only say that our experience purchasing the Tacoma from Chris and Penticton Toyota was the best we have had anywhere! We felt no pressure by anyone, actually we were surprised how we felt the decision was 100% ours without duress, there was courtesy and respect from everyone we met. We were very pleased that you gave us good value for both vehicles you took on trade. Chris made this transaction very easy for us in a timely manner, we will recommend Chris Wood and Penticton Toyota to our friends and family. Great place. Ive dealt with them over a decade. My last service, last week, I received a voucher for a free car wash from them. I think thats the first time theyve done that for me. I hope thats something they keep doing. I spent about $250 for a fairly minor service, ie: oil, filters, spark plugs, etc, so for them to pony up for a car wash should be a requirement for them. Pleasant people at the counter, reasonably prompt service. Exceptional staff from sales, to loans, to parts and service. No pressure sales at all. Ive purchased a used and a new Tacoma from Penticton Toyota and will be back in the future. Absolutely would recommend this dealership to family and friends. I live in Kelowna and would rather drive to this dealership than deal with the one closer to home. The service is that good. Very friendly staff that were prompt, courteous, and always willing to address any questions that I had. Definitely feel like a valued customer every time I bring my vehicle in for maintenance. A well-run service department; highly recommended. The staff at Penticton Toyota and Scion were very helpful and thorough, both in sales when we bought our new Prius, and in service when we had work done on our other car. We enjoy doing business with them. From the moment I purchased my vehicle last year, I have been impressed with Penticton Toyota services. Everyone is professional and friendly all at once. Awesome dealership! I would highly recommend dealing with Chris Wood, Ive purchased 3 Tacomas from him and most likely will again in the future. Very friendly Sales and Service staff. Everyone mentions you by name and makes you feel very comfortable. Absolutely top notch facility. Ive purchased 3 Tacomas in the past 3 years, and am planning my next. Great staff, they make you feel very welcome. I would reccomend them to everyone I know. Not very good service. Prices way to high.